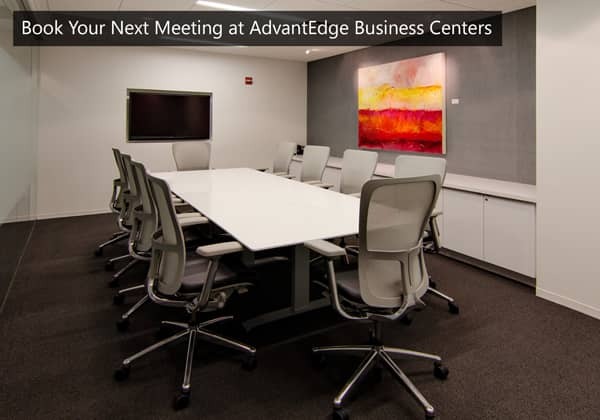 WASHINGTON, D.C., February 17, 2015– AdvantEdge Business Centers completed a one-year renovation project at the largest of their three Washington, DC business centers, located in the Chevy Chase Pavilion Building. The 21,000 square-foot renovation covered the center’s fourth floor suite, and focused on updating the finishes within the suite, maximizing the use of common area space, and adding additional technology and functionality to the conference rooms and other shared workspaces. AdvantEdge focused on overhauling shared workspaces to create meeting rooms and business lounge space better suited to how their clients use various workspaces. With a number of individual offices and private suites throughout the floor, the added meeting rooms and multimedia conference room provide new environments for small businesses to meet and collaborate. 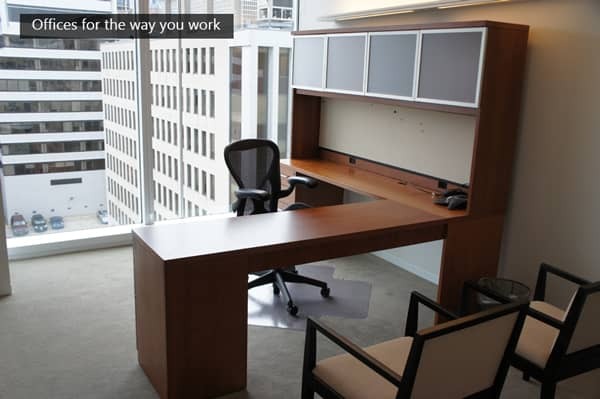 With more than 9 years of experience at the Chevy Chase business center, Vice President of Operations, Athena Russo, worked with clients to pinpoint the kind of spaces small businesses want in a modern work environment. She explained, “The meeting rooms were designed with our clients’ experience in mind allowing us to cater to the way their companies use our space. So far, our clients have given us positive feedback with the new, updated look and we are happy to provide an environment that suits the needs of modern businesses." The sleek finishes and streamlined design promote a cohesive layout and emphasize business collaboration. The renovation caps off a year of expansion for the Chevy Chase center which also added a 6,800 square foot suite on the 9th floor in 2014. 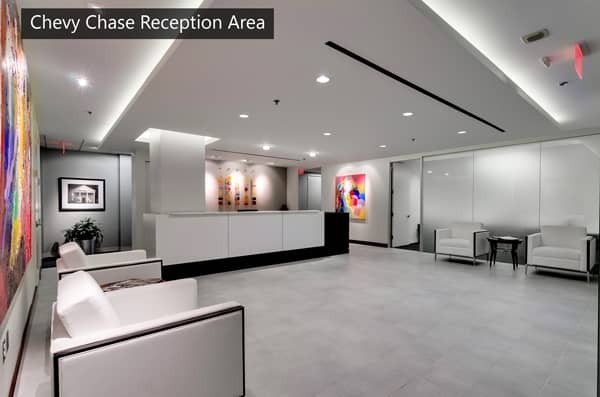 For over 25 years, AdvantEdge has been a leader in the Washington, DC executive suites industry, providing distinctive and customized full-time office space for lease. With more than 80 years of combined managerial experience, we guarantee each client unparalleled support, individualized attention, and on-site assistance. Consisting of three locations in ‘Class A’ buildings, AdvantEdge offers high-end office space while maintaining affordability. If you would like more information about this topic, click the button below.